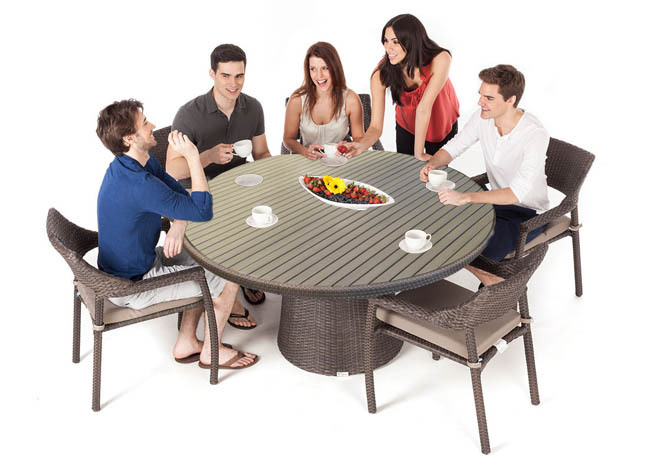 Delia round patio dining table made with synthetic wicker and UV treated faux Teak top, that's more durable than real wood and won't crack with age. 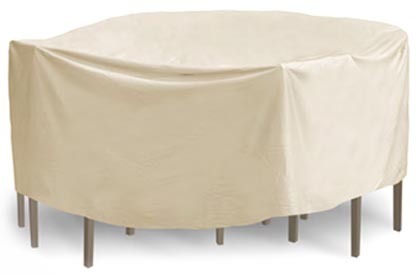 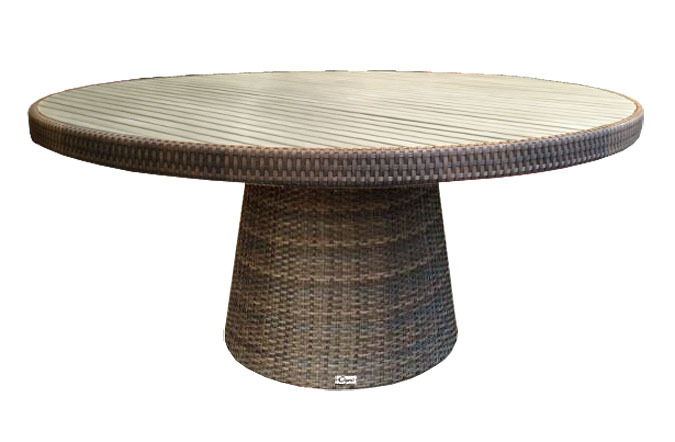 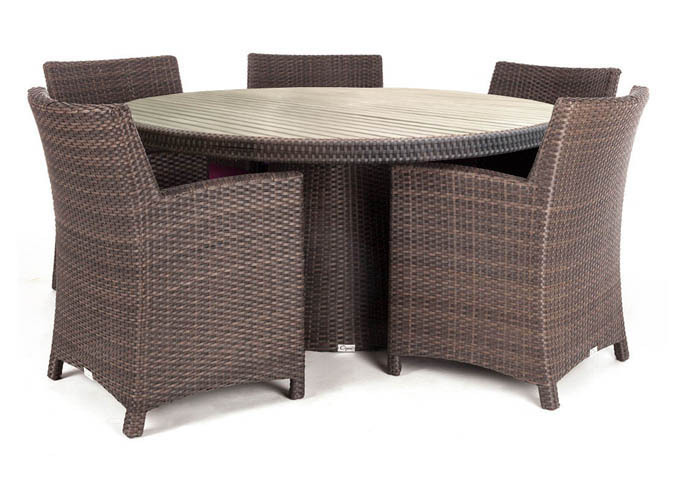 Delia round patio dining table made with synthetic wicker and UV treated realistic faux Teak. 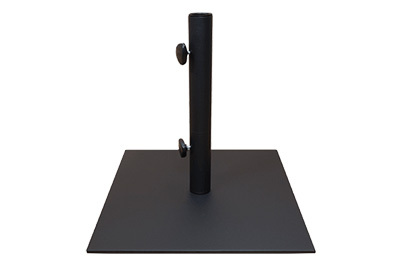 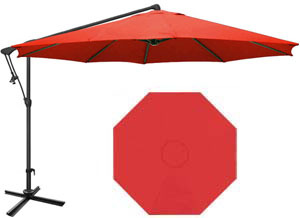 Also features an aluminum structure that won't rust. 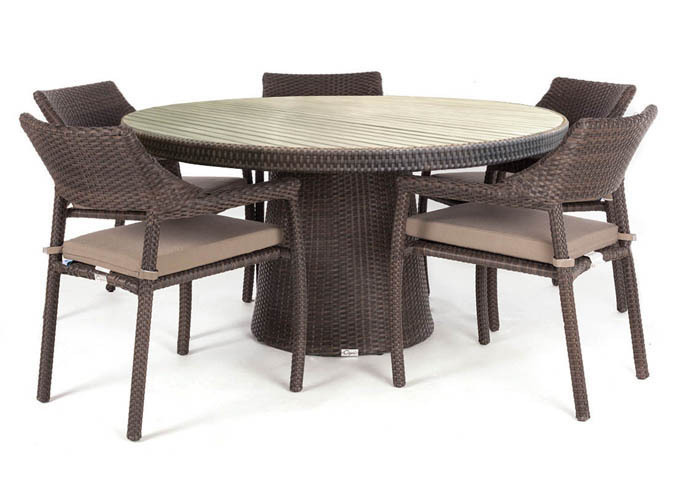 This unique looking outdoor table is sold separately, but can be matched with a variety of Ogni chairs and can comfortably seat from 4 to 8 people relatively to the chair model. 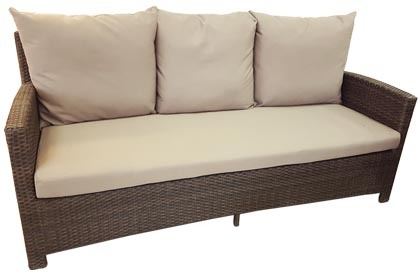 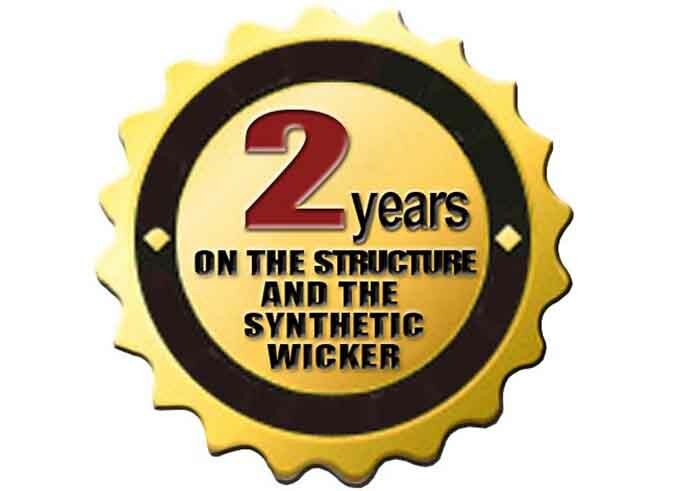 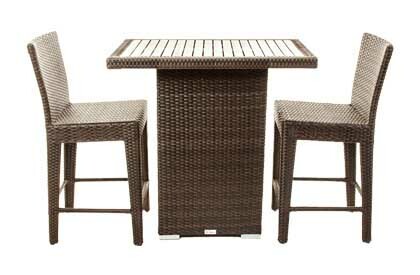 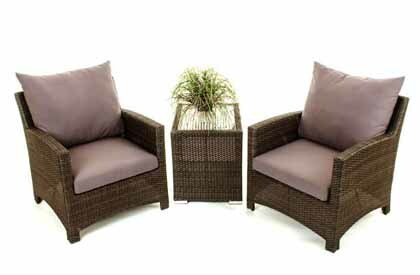 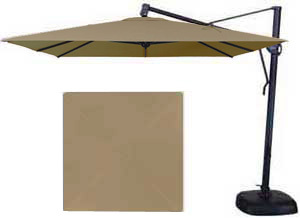 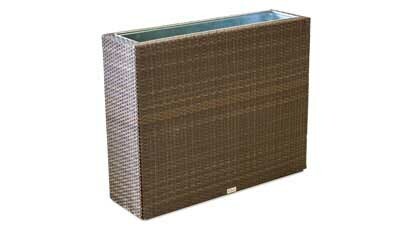 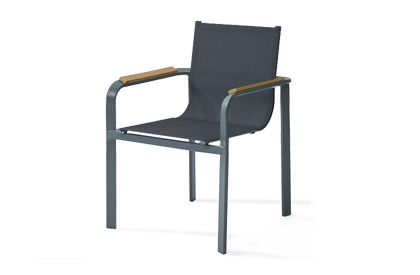 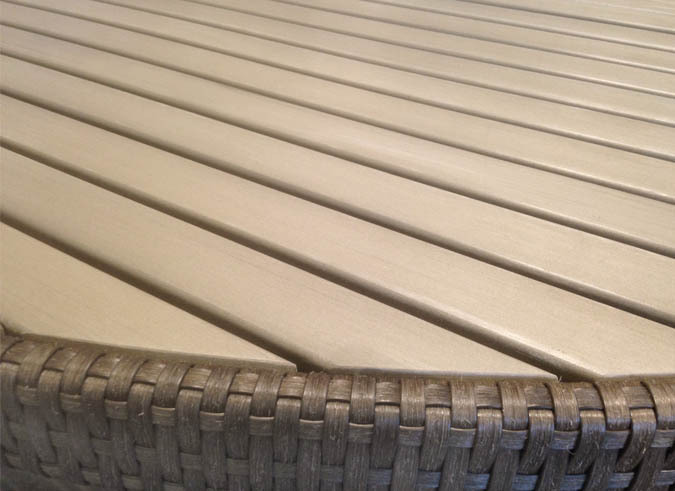 Includes a 2 year warranty on the aluminum structure, the wicker and the table top.